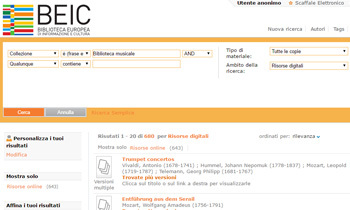 The Biblioteca Europea di Informazione e Cultura charged LIM to select classical music composers, works and performances - a total of about 1000 items to be purchased - in order to create the music section of its digital library. Aiming to make the choice as objective as possible, LIM developed an ad hoc algorithm (see ▸paper). 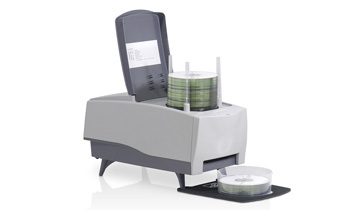 CD-DAs were ripped and the resulting files were saved into appropriate formats for on-line fruition, and iconographic material was scanned at a professional quality. 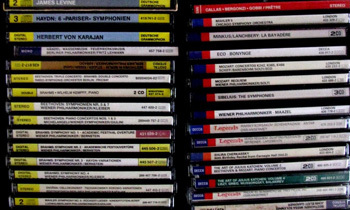 Each composition was linked to the PDF file that contains the corresponding score. Finally, a web player was designed, implemented and released. 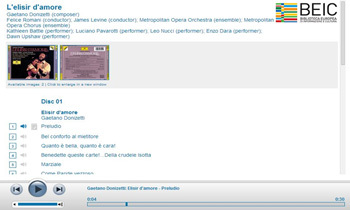 The project was officially presented on Wednesday June 22, 2016 at La Scala Theatre Museum (see ▸press release).